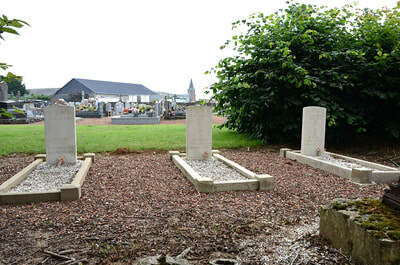 Villers-Carbonnel is a village in the Department of the Somme. 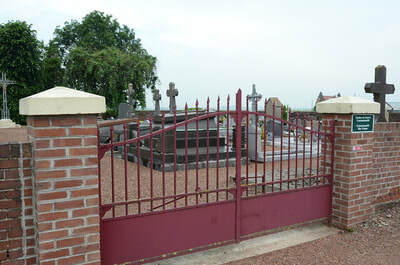 At the island at the west end of the village, turn south on to the Grande Rue. 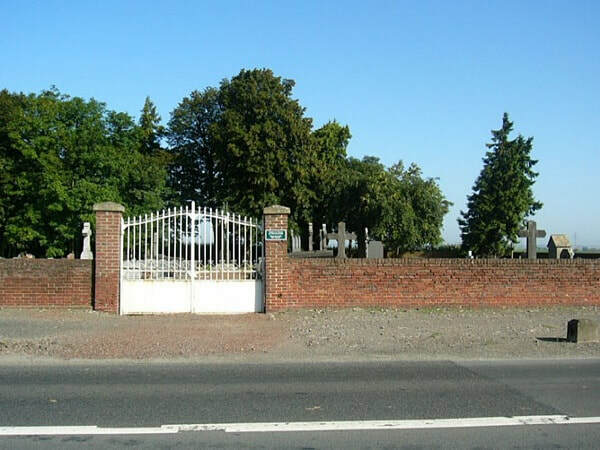 After 250 meters, turn right on to the Rue du Cimetière and the Communal Cemetery is along this road. 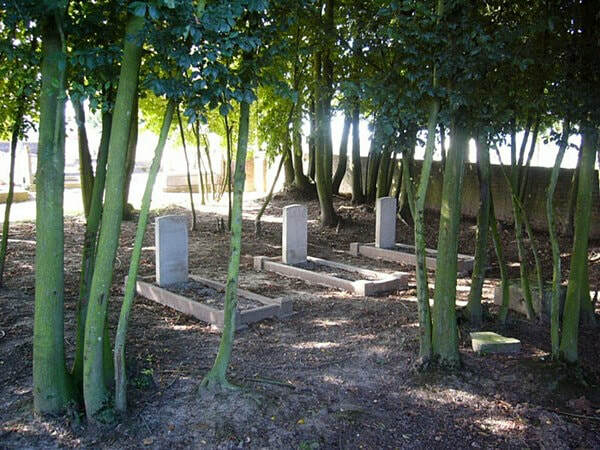 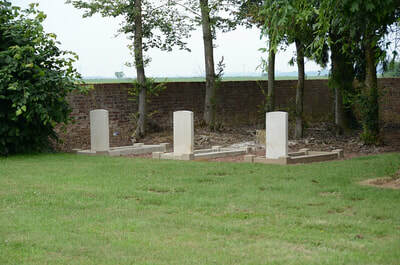 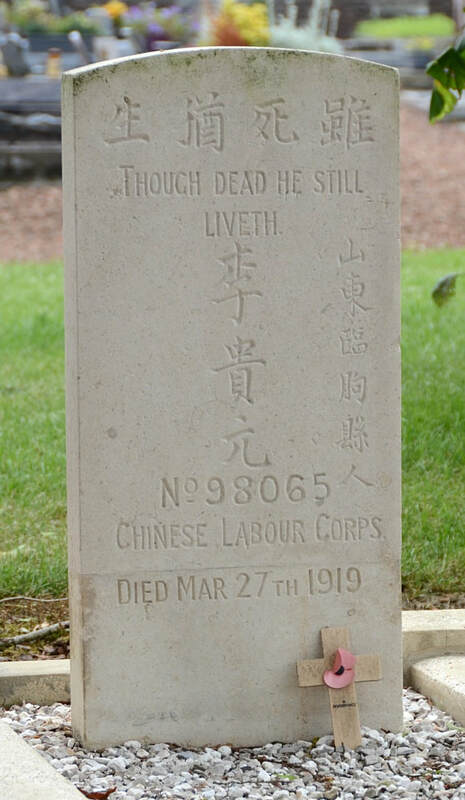 There are three men from the Chinese Labour Corps buried here. 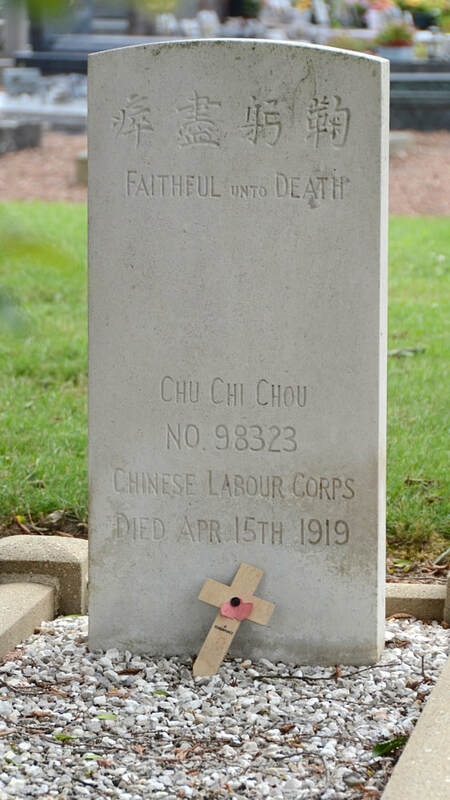 98323 Labourer Chu Ch'I Chou, Chinese Labour Corps, died 15th April 1919. 98065 Labourer Li Kuei Yuan, Chinese Labour Corps, died 27th March 1919. 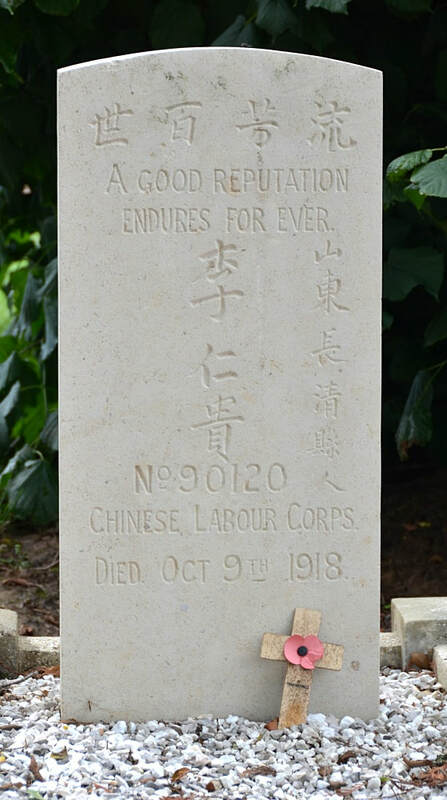 90120 Labourer Li Jen Kuei, Chinese Labour Corps, died 9th October 1918.